Muslim apologists will often make much of differences in the Gospel accounts (Matthew, Mark, Luke, and John) in order to argue that the New Testament writings have been corrupted. So, for example, a Muslim apologist may ask, 'How many people supposedly went to the empty tomb of Jesus on the first day of the week?' The Muslim apologist will note that Matthew 28:1 mentions two women, Mark 16:1 mentions three women, Luke 24:10 mentions more than three women, and John 20:1 mentions only one woman. The Christian may respond that there is no contradiction in these texts: that if there were more than three women, as Luke records, that each of the other Gospel writers can choose to focus on a smaller number of those women (especially if the others were coming and going) without mentioning the entire group. This kind of reply will, admittedly, usually cause the Muslim apologist to scoff. But it shouldn't. Because the Qur'an often reports events in a similar manner. Take, for example, the fall of Iblis. In the Muslim faith, Iblis is roughly equivalent to the Devil of Christian belief. The Qur'an gives much more explicit detail to the fall of Iblis than the Bible gives to the fall of the Devil. But the accounts in the Qur'an concerning the fall of Iblis- in Surat 7 and 38- are not identical. Following Iblis's disobedience, Surah 7:13 has Allah respond, "Get down from this! It is not for you to be arrogant here. Get out, for you are the meanest of creatures." In reference to the same conversation, Surah 38:77 has Allah respond, "Then get you down from here, for you art rejected, accursed." Now, the Muslim apologist could certainly assert that both of these responses from Allah are simply summaries taken from a longer response. But notice: that is the exact kind of answer that Muslim apologists will not accept when it comes to the Gospel accounts. 2. To take away one objection to the Bible that Muslim apologists frequently raise. 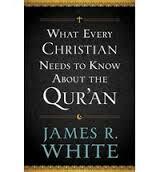 For a more detailed discussion of Gospel Parallels and Qur'anic Parallels, see James R. White, What Every Christian Needs to Know About the Qur'an (Minneapolis: Bethany House Publishers, 2013), 217ff.